In September 2003, on Kol Nidrei eve, when Rabbi Judith Hauptman was on her way to services, she encountered a distraught young Jewish couple who had been turned away from two different services earlier that evening. They had not made reservations and all seats had filled up. She found this incident very troubling. So she began thinking about how to remedy the situation. By the time she reached the synagogue she attends, she had decided to start a free, walk-in High Holiday service. It would reach out precisely to those people who wait until the last minute to make up their minds about going to synagogue on the High Holidays. One year later, Ohel Ayalah came into existence. We opened our doors (in rented space) on Rosh Hashanah in 2004. Nearly 200 seats were filled, about two-thirds by people under age 35. On Kol Nidrei night, there was standing room only, with a crowd of 250. Many who attended the Rosh Hashanah service returned, some bringing friends. These numbers clearly demonstrated that the services met a real need for Jews who wished to feel “Jewish” and be part of a community during the High Holidays. So Ohel Ayalah decided to grow. On Pesach 2005, we held a low-cost, first night Seder. It was fully subscribed. 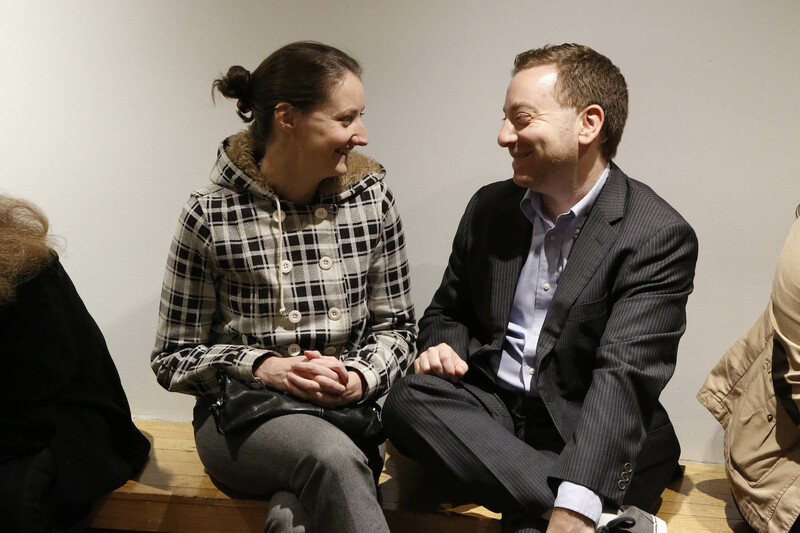 The 162 attendees were mostly under 35 or over 60, with few families and young children. Participants commented that they had found the kind of Seder experience they were seeking–traditional and contemporary at the same time. In the fall of 2005, the Ohel Ayalah Rosh Hashanah service overflowed. On Kol Nidrei night, a second service was held, right after the first. The combined attendance was about 380. On Passover 2006, Ohel Ayalah again sponsored a first night Seder, and it again sold out. In the fall of 2006, the Ohel Ayalah High Holiday services were oversubscribed, in particular the second Kol Nidrei service. People sat, stood in the back, on the sides, in the front, wherever. And in April 2007, Ohel Ayalah sponsored two Seders. The first was a Seder for all ages and so people in their 20s showed up, as well as people in their 90s! 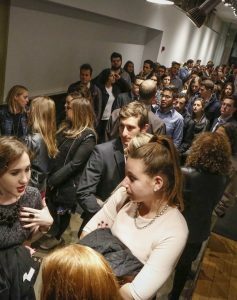 The “new” second night Seder, for people in their 20s and 30s, succeeded in attracting 100 of them. In the fall of 2007, Ohel Ayalah was not only filled to capacity on Rosh Hashanah and Kol Nidrei night, it even had to turn people away–to the great dismay of its rabbi and cantor. New in 2007 was a Ne’ilah service at the end of Yom Kippur. About 150 people showed up for it and for the break-fast that followed. And in April 2008, Ohel Ayalah again sponsored two Seders: the first night for all ages and the second night for people in their twenties and thirties. The new development in the fall of 2008 was that Ohel Ayalah opened a second branch, in Brooklyn. It too was well-attended, with a total of 240 people on Kol Nidrei night. In April 2009, both Ohel Ayalah seders, the first night for all ages and the second night for 20s and 30s, sold out several days before Passover. Total number of attendees: 270. In the fall of 2009, Ohel Ayalah yet again had overwhelming attendance at both High Holiday venues – with total attendance (both locations) at over 700 people for Kol Nidre. And in March 2010, Ohel Ayalah again sponsored two Passover seders. New in 2010 was a wine-tasting before the second seder for people in their 20s and 30s. The total attendance at both seders was 300, a record for Ohel Ayalah. Fall 2010 again saw High Holiday services in two locations, Manhattan and Brooklyn, with high attendance at both locations, peaking on Kol Nidrei night. The new events in Fall 2010 were Tashlich on Rosh Hashanah (at the Hudson River, followed by a walk on the Highline Park), an afternoon Yizkor Memorial service on Yom Kippur, followed by a study session (theme: the meaning of the Kaddish prayer). Ne’ilah ended the day, in both Manhattan and Brooklyn venues. 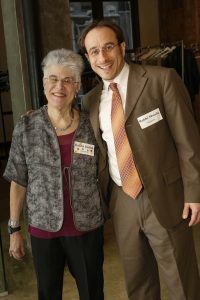 In Fall 2011, Ohel Ayalah expanded to a third High Holiday venue, in LIC (Queens), in addition to offering services in Brooklyn and Manhattan. Ohel Ayalah again offered services at three venues in Fall 2012. In Spring 2012, Ohel Ayalah moved to a new venue to accommodate its expanding number of attendees. It held Passover seders at the Prince George Ballroom (Manhattan) on both nights, with the largest attendance to date, 250 people at the First Night Seder for All Ages and 130 at the Second Night Seder for 20s and 30s (and a few others!). For the first time, Ohel Ayalah ran a seder for Families with children at the Kings Bay Y at Windsor Terrace, Brooklyn. 60 people attended, including 20 children. 2014 update: The first night Passover seder for all ages sold out at 280 places. Cannot increase that number because there is no more room. The second night seder for 20s and 30s reached a new high of 160. For the third year in a row, Ohel Ayalah collaborated with the Kings Bay Y and ran a family seder in Brooklyn. This Fall, Ohel Ayalah again will offer High Holiday services in three locations: Prince George Ballroom in Manhattan, the Hannah Senesh Community Day School in Brooklyn, and Attic Studios in LIC, Queens. 2016 Update: For the first time, Ohel Ayalah held a Yom Kippur morning service in Manhattan, in addition to Yom Kippur morning services in Brooklyn and Queens. To our amazement, 575(!) people showed up. For the future, we may have to hold two Manhattan Yom Kippur morning services. On Passover, our Brooklyn family seder was a collaboration of three organizations: Ohel Ayalah, Kings Bay Y/Windsor Terrace, and Park Slope Jewish Center. 120 people attended. "Without Ohel Ayalah I would have no place to go! The warmth of the congregation made me feel like I was back at home with my family. Thank you!"